Over the past couple of weeks you have seen images on this blog which I took during the Democratic National Convention here in Denver. These images include some of the scenes around downtown, celebrities and other aspects of Denver during the convention. 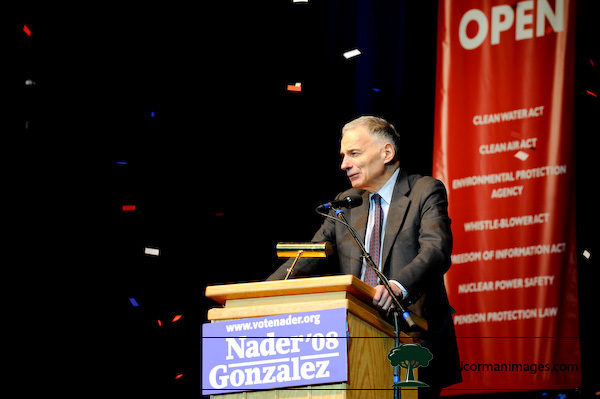 Another event which took place in Denver when the DNC was in town was the Ralph Nader Super Rally which was held as the University of Denver Magness Arena . 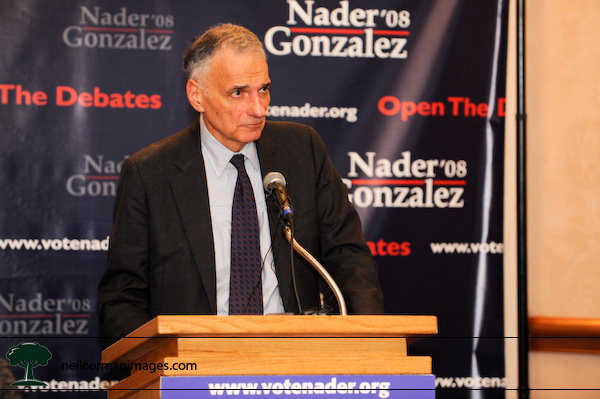 The main speaker at the event was Ralph Nader , however the underlining theme was to allow all of the presidential candidates debate. As I had a media credential for the event I was attended the press conference prior to the actual event. During this event the speakers expressed their concerns of not being able to debate the main party candidates as well as the lack of media coverage provided to the "outsider" political candidates. In addition to the individuals who will later speak at the Super Rally, Rosa Clemente who is the green party vice-presidential candidate spoke as well. But of course Ralp Nader was the headliner of the event. Moving to the arena, an announced crowd of 4,000 people were in attendance having paid $20 each to access the Super Rally. 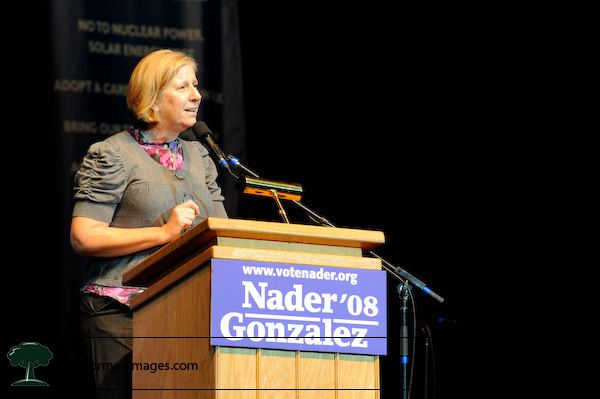 Cindy Sheehan spoke and expressed concern that she would not be able to debate her candidate Nancy Pelosi in San Francisco for the congress seat they were running for this election cycle. Sheehan is known for her anti-war demonstration in Crawford, Texas after her son Casey was killed in Iraq in 2004. 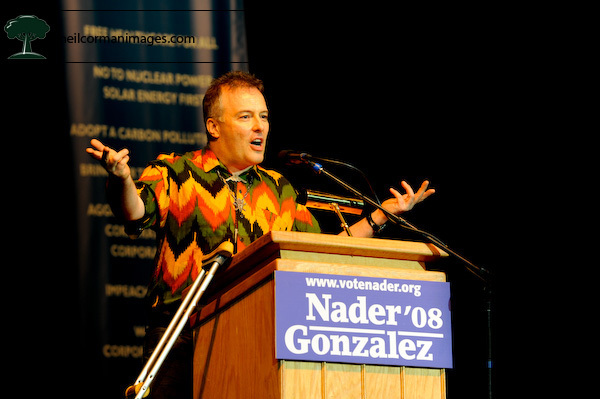 Jello Biafra formally of the Dead Kennedys and a political activist spoke to the crowd receiving a positive reception. 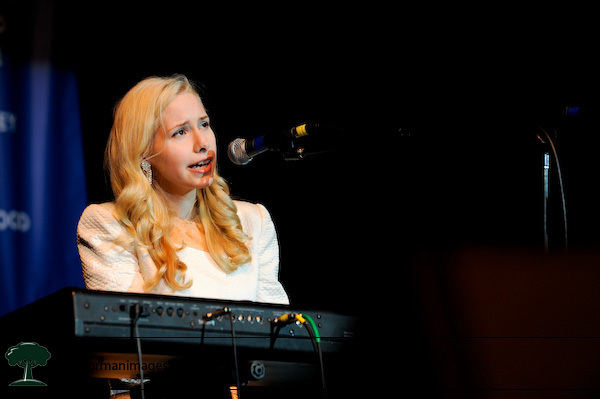 Nellie McKay performed a couple of songs during the rally which were custom written to show her support of Nader. Providing some humor along with talented singing the crowd enjoyed the content of the music. 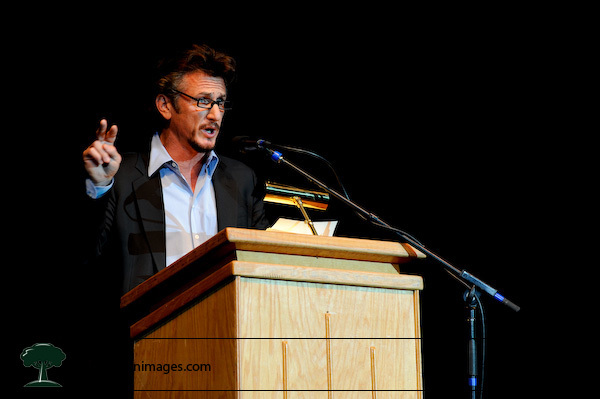 Expressing concern of the two party system, Sean Penn speaks at the Ralph Nader Super Event. As he has not yet determined who he will support this election they gave him a podium without a Nader sign. 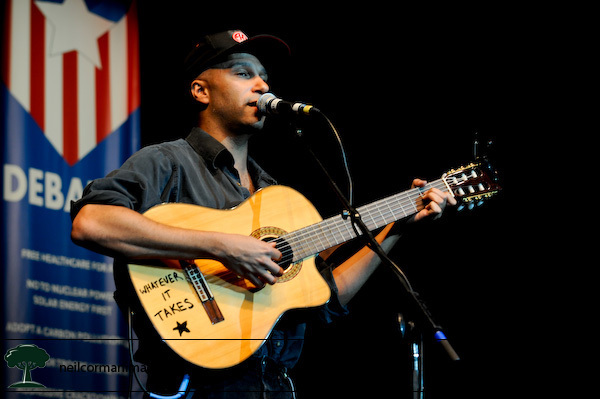 Tom Morello performs at the rally. Prior to playing a couple of songs he provided an update on the protest march which took place following the Rage Against the Machine concert that afternoon. Following a pop of confetti, Ralph Nader speaks to the crowd still remaining at the Super Rally. With so many speakers as well as a fund raising break looking for donations some folks did leave prior to Nader speaking.